Directly across the street from the Noble County Fairgrounds, the Microtel Inn and Suites by Wyndham Caldwell offers complimentary extras like parking, continental breakfast and wireless Internet access. Enjoy easy access to the Utica Shale drilling and production sites, Wolf Run State Park and many restaurants. 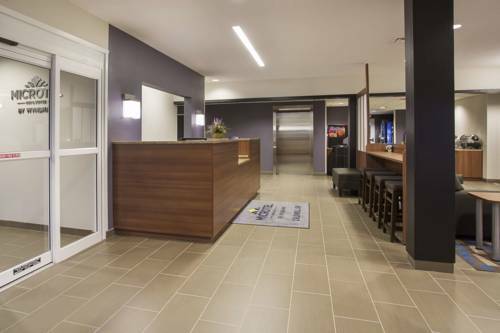 This lodging caters to business travelers with an onsite business center and meeting room, ideal for up to 30 people. Family travelers appreciate the smoke-free environment, featuring guest laundry facility. Most guest rooms offer microwave and mini refrigerator. Pets are welcome for a nominal fee. Paul Johnson collected 3,479 pencil sharpeners (no duplicates) and displayed them in a one-room shed in his yard in Carbon Hill. He died July 2010; the shed and collection are now displayed in the Hocking Hills Regional Welcome Center.